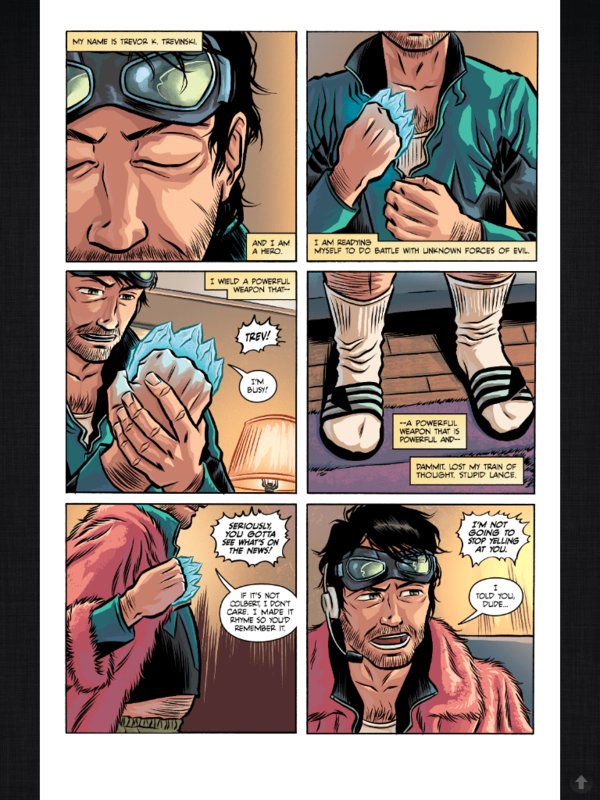 Trevor K. Trevinski and Lance Powers were ordinary roommates until aliens visited a massively hungover Trev and gave him The Crystal Fist – a cosmic weapon that he can only seem to harness using videogame controllers and he only uses to cheat on video games and steal cable. 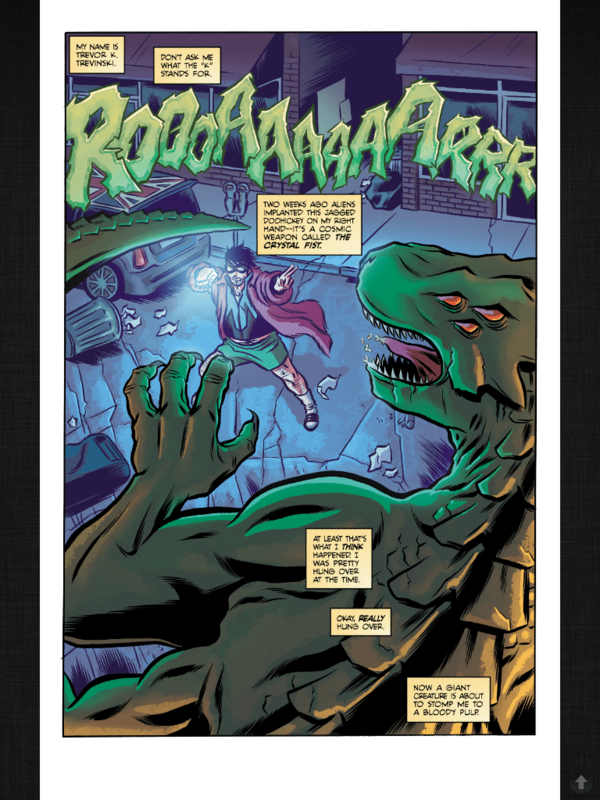 But when a monster attacks the city, Trev must overcome his instinctive laziness and Lance’s bromantic nagging to save the day. 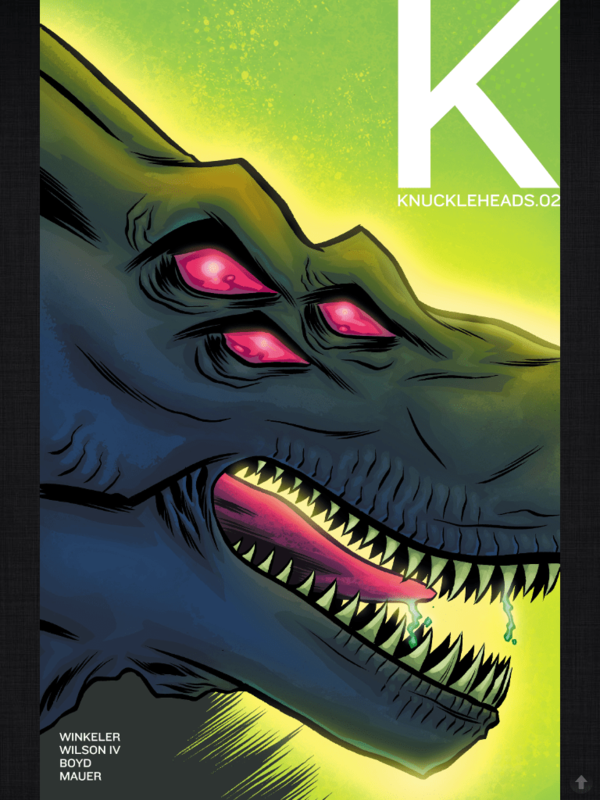 Monkeybrain Comics continue to produce a wide variety of titles available via Comixology and Knuckleheads shows us how digital comics can bring more out there to the reader. 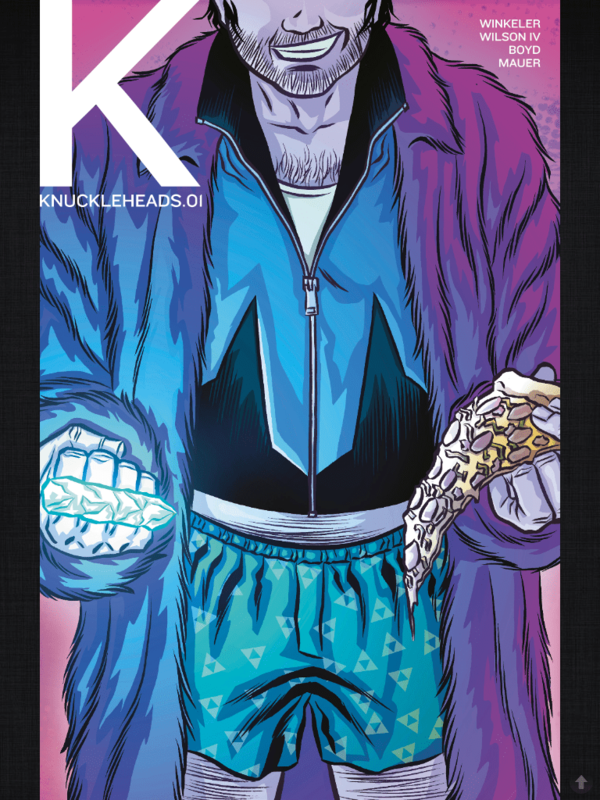 Combining the ‘new-to superhero-ing’ genre with a sitcom idea is excellent and it looks like Knuckleheads was worth the wait after an early print trial. 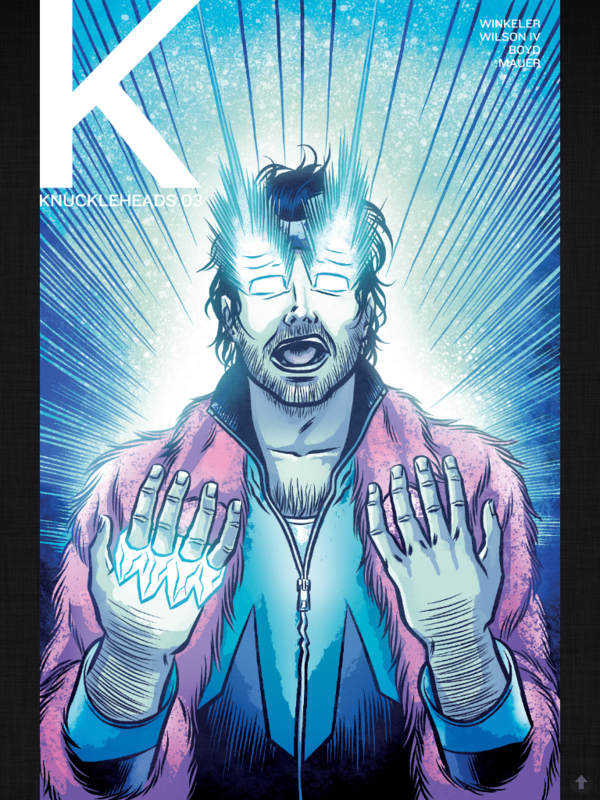 We’ve got the slacker hero who’s been given powers – the crystal knuckle duster, but doesn’t know exactly how to work it – so he uses it to cheat at video games and get free Netflix….who wouldn’t! Jumping in from the last issues finale we get the addition to the team, which adds a little more humor to the situation – so at this point we’ve got Trev, Lance & The Pizza Guy, but you can see how the dynamics are going to work! At the end we get the traditional #2 cliffhanger (but it gets there well) and something about the covers – which I think I should mention. They quote Warren Ellis who once asked about why covers should be different for the digital market – because they’re usually about an inch high, but are designed for full size. This is something that bugs me – especially as I have to add an image for the featured posts on the home page. Well – as Monkeybrain works as a digital company Robert Wilson tackles this as you can see in the two above and one below. The end of #2 gives us a look at this process! Issue #3 completes this micro-arc within the max-series with the big fight scene in a wholly different way, some excellent dialog and the (hopeful) addition of ‘drunk English girl’ to the group. The final page made me laugh, because it’s not what you would expect from this genre. Finally some letters – and they are full of praise of this series, which is a lot of fun, easy to read and will make an excellent collection. The addition of twitter handles is nice and I hope this series continues to innovate – not just the story, but with the additional material! Next time, we’re being promised pancakes! don’t forget the pancakes though….